Seattle real estate technology company Redfin is preparing to go public in an offering that could be worth $100 million, according to a filing with the Securities and Exchange Commission on Friday. Seattle real-estate technology company Redfin is preparing an initial public offering that could be worth $100 million, according to a filing with the Securities and Exchange Commission on Friday. Redfin employs real-estate agents and develops technology to help people find and buy homes in more than 80 markets in the U.S. Its customers bought or sold more than 75,000 houses last year, according to the filing. The SEC filing also revealed that Redfin has never made an annual profit, but its revenues have climbed more than 35 percent in each of the last three years. A public stock-market debut has been long-awaited for Redfin, which was founded more than 10 years ago and has raised $167.8 million from venture-capital investors, including early Seattle investor Madrona Venture Group. Redfin has been rumored to be a potential IPO candidate for several years, and CEO Glenn Kelman said in a 2012 interview that he expected Redfin to be public by 2014. This could be the stock debut year for Redfin, although its filing does not yet indicate the date it plans to go public on Nasdaq, where it will use the ticker symbol RDFN. Redfin has been growing rapidly in recent years, increasing its employee count from 752 in 2013 to 2,193 today. The company’s 410 local employees moved into a new headquarters in Seattle’s downtown Denny Triangle neighborhood earlier this year, more than doubling its office space in Seattle. Redfin was founded with the goal to streamline homebuying by using technology and charging customers lower fees. But it faces similar challenges as real-estate brokerages around the country — a historic shortage of homes for sale, the inventory that such businesses rely on to bring in money and customers. Redfin charges home sellers a lower commission than most traditional brokers; its fees total up to 1.5 percent of the sale, compared with a commonly charged 3 percent. Redfin’s technology-powered homebuying model has not yet managed to replace traditional brokerages. It now sells 0.6 percent of all U.S. homes, up from 0.5 percent last year. In its home turf of King County, Redfin is the sixth most popular brokerage, following entrenched companies such as Windermere and John L. Scott. Redfin sold 4 percent of King County homes last year, according to a Trendgraphix analysis of Northwest Multiple Listing Service data. That’s up from a bit under 3 percent of local homes in 2015. The public filing offers the first real glance into the company’s financials and its growing annual revenues. Redfin has never been profitable and has accumulated losses of $613.3 million. Redfin increased revenue 43 percent from 2015 to 2016, reporting revenue of $267.2 million last year. The company has posted a net loss for each of the last three years, including a $22.5 million loss in 2016. Most recently, Redfin posted a loss of $28.1 million on revenue of $59.9 million in its first quarter of the year. The initial filing did not indicate Redfin’s pricing plans for its stock or how many shares it plans to sell. 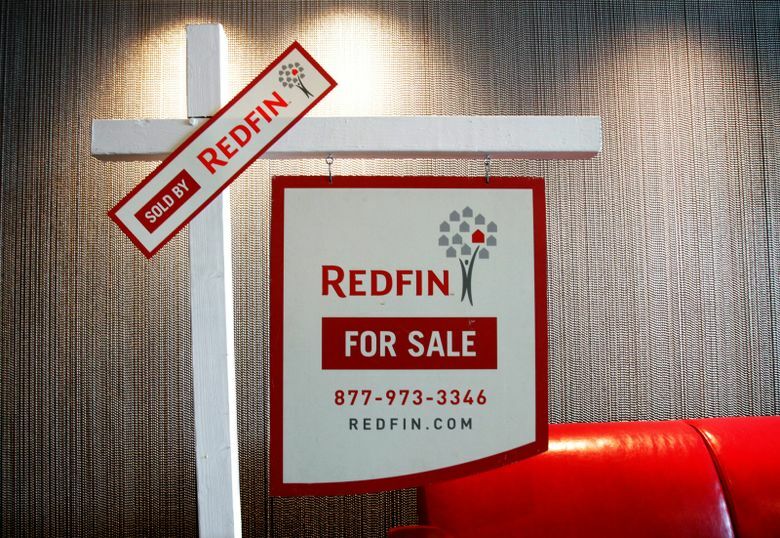 Redfin’s $100 million IPO target could change before it goes public.